Thursday, February 23rd was supposed to be an ordinary albeit busy day. Ordinary for me means well planned and perfectly executed in my head. I had a consulting job that required flying to Tampa for a few hours and returning the same day. It all started well – for the most part I was on time (people who know me, hush). I left the ‘boro and headed to BNA and as I rounded the ramp to I24 – knew it was time to get my Nascar drive on. Dodging traffic, necessary dumping onto shortcut roads ensued and I made it through security in a record 9 minutes. As I approached the gate, I could see the plane barely backing away. First EVER missed flight, other than those I have on purpose rescheduled, and I think I do more flying than the average person. The gate attendant smiled big and said “Good morning Ms. Hoyt, I have put you on the next flight to Charlotte” Agh! Good time to have permission to have a bad attitude. So I took my little bad attitude to the coffee shop to review the notes for work. I fired up the IPAD and settled in. Waiting over an hour is not something I am good at. I finished my notes as they began boarding the next flight. I normally do not fly US Airways. Not because they are more expensive (and they are) – but because I feel their customer service as a whole is dreadful. Case in point: Emergency seat #14 was empty on this flight and they offered it to a retired Sergeant Major. This seat gives a little extra leg room but also some responsibility in case of an emergency. He said yes, and without any gratitude the staff informed him that there is a fee to take this seat. The four of us standing nearby were slightly stunned. He politely told her that in case of an emergency – he would do what he could to help but he would not pay to do so. The entire flight boarded – we all sat in our assigned seats. His was next to mine. As the plane began to fill up the 3 guys and I (in our 15th row) wondered if they had sold the emergency exit seat. They did not. After they pushed back from the gate, we suggested that he sit there. He moved. The staff told him he could not sit there. What is unfortunate for him is something I tell my public service friends all the time – they have you pegged. They know you would help for free. Regardless, we had a great discussion about the stupidity of that policy. In our stupidity conversation, this soldier told me he was on his way to Walter Reed Army Medical Center (WRAMC). My first reaction was to tell him to not go there. But he said he was treated there initially and goes there for PT. 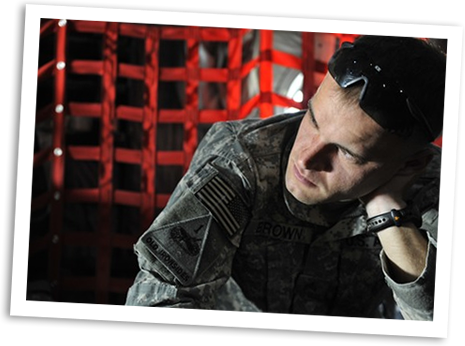 He quipped that most Army guys are willing to talk about the Army. He did not tell me about his injury or what happened specifically. The all male (plus well – me) conversation turned to the subject of Golf. He watched me sell some TEAM CLINTON bands and I gave him one. He asked about Clinton. I have a lot to say about Clinton but I was trying to make it relevant and perhaps secure some golfers – so I told him about our upcoming Fall tournament. The plane landed and we found ourselves walking to neighboring gates for our connecting flights. I had to go a few gates further – so he hugged me and said, you know “If I can take a bullet in Bosnia for people who most of the time do not deserve it, I can certainly play Golf in Nashville, TN for a 7 year old who deserved more”. In retrospect, maybe he wasn’t hugging me at all – he was just helping me remain on my feet. We exchanged email addresses and he emailed me first. He said he would be inviting a friend of his, named Tom. He said as part of his PT at WRAMC they gave him Golf clubs and he learned to play but he is not any good. His friend’s name – however – Tom Watson. That my friends is a true story and one that I can not wait to watch unfold. I got to the gate and looked at recent Facebook posts. I found out that my cousin was on the first flight that I missed to Charlotte. I called him and he was already on Post and there was no time to meet up. I only mention this because I am certain that no airline could handle two Woodard’s on one plane, and because it makes me think that had we been on the plane together I probably would not have talked to this retired Sergeant Major. Amazing right? The day had just begun! I boarded to Tampa and had a boring although smooth flight. I got picked up at the airport, consulted – learned all I could in the 3 hours I was there – noted it was hot as heck in FL and briefly saw the ocean. As I walked into the Tampa airport, I proceeded to the tram and a lost couple asked if it mattered which side they entered the tram. I explained no, the doors would open correctly, and asked them where they were going? Home they said. I heard it – an accent so memorable, I felt like I was home. They said “England” I said, where? As in, try me. (In the same way people say they are from upstate NY). They tell me they are from an ever so tiny little village in Norfolk, England. Then I told them I lived in Croxton, Thetford, Norfolk. Not a town by any means, I mean – we didn’t even have a pub. Their eyes grew bigger. We talked for 30 minutes about so many things. England. Jumpers. Ribena. Cold. Fog. France. Brandon. England. Lorin. Clinton. America. Vacations. Barbados. At one point, Brian said he is always surprised at how friendly Americans are. The words “oh that’s just southerners” actually came out of my mouth, and I laughed near hysterics when he said “southerners then”? We decided we better get to the other side of the security check point so we moved through and I, like usual got stopped. I could do another blog post on anti-profiling, but suffice it to say -if you have red hair, blue eyes and look them in the face – you will get pulled. Every single time. As I got to the other side of check point catch that girl, the retired couple from England were waiting. They pulled out a little piece of paper that served as their business card. She cried, said she hated good-byes. I said the only thing I could think of (borrowed from my brother Jeff) – it’s not good-bye, it’s “see you again, then”. So, I tucked the paper into my bag and had like 5 minutes to get to the gate. I pulled out the paper after I boarded and read the note on the back. Please do come to England. Our flat is your flat, and our boat in Cedex, France is yours for the asking. How can I not be blown away by this? I just can’t. Lorin has this dream to live in England on a farm -and sew her own clothes. It sounds silly, but if you know Lorin – it makes perfect sense. I do not know yet what her dream really looks like, but I can not wait to see it come true. 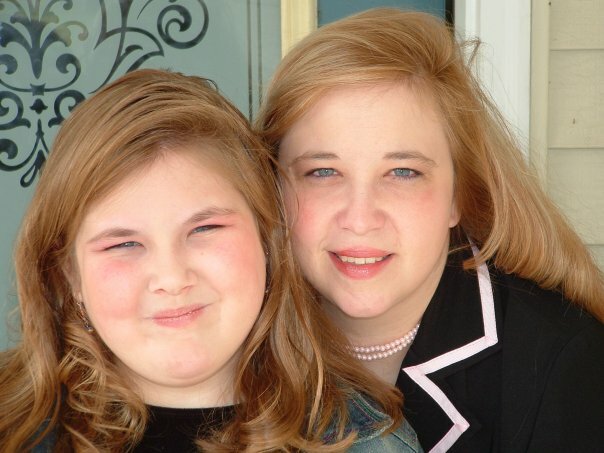 The photo below was taken a few years ago – but it’s one of my favorites of her and I. Ever looked into a mirror and have it look and talk like you right back? My son Brandon, was named after a tiny little village in England where we briefly lived in a small freezing bungalow, until we moved to Croxton – further away from the Americans. He has dreams of living in Japan – but he hasn’t been to Brandon, England yet. This is on the list this year. Totally going. One step closer to that too. Overall, a very productive day. I came away from that day exhausted and back in Nashville. I am certain the English teachers viewing this will tell me that the ending of this story should be longer and tie back into all the components. But this is my story, and I am not being graded. As I drove back to the boro, I couldn’t help but wonder if these experiences are around everyone everyday – we are just too consumed in busy-ness to not look, not connect? ONE day. What a difference it can make. This beautiful child calls me Antey. She turned 11 yesterday, and I have no idea how she is eleven already. I suppose in the same fashion that Lorin is already 17 and Brandon 12. And Clinton – forever 7. Everyone gets so busy with life and before you know – the kids are all grown up. My goal is to celebrate these children and how they make me a better person. In the same way that our family recycles faces, we recycle names. This beauty is my great niece – the first of the greats. She got her name from my grandmother – Jennie, who gave it to Jenna’s mother Jennie (we just enhanced it a little). We also added my middle name Lyn, because – well, Jennie’s middle name is also Lynn (after me, but my brother spelled it wrong). I made sure I was not only in the delivery room grabbing this beautiful head, but my best-friend delivered her – so we got to fill out – no sign – the request for her official birth certificate. No mis-spellings this time! The lengths I have to go through. Secretly, I think her mother wanted her name to be Madisyn or Peyton, but this child is surely a Jenna. So I was right. Here she is world. 2/17/01. There she is to the left – dressed in Brandon’s sleeper. It was a hectic time, but oh so amazing. Just a short time before -we were a family of 3. Had just built a house, transitioned to civilian life and had you know – the American dream. Mother, father, daughter. 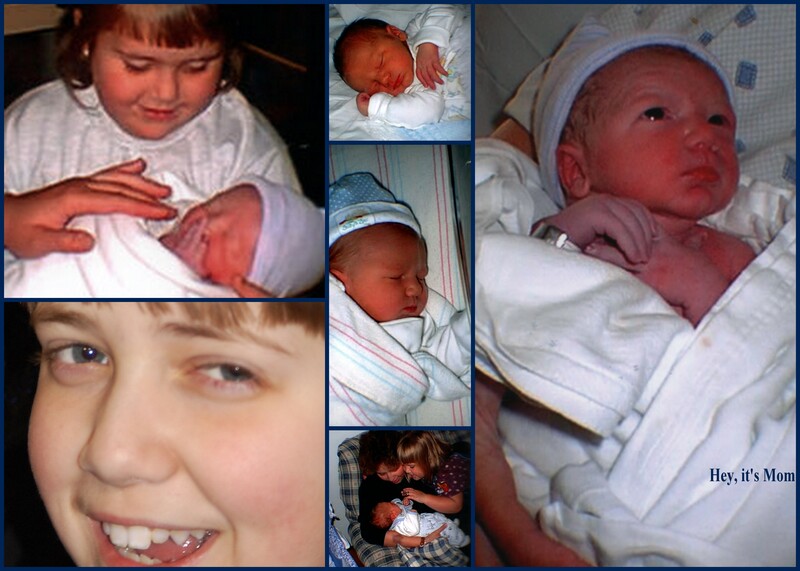 Then – in true Woodard style -we added not 1 (Jennie – June 1999) to the house, not two (Brandon -Oct 1999) but Jenna too (Feb 2001) – in a span of 16 months and – done! Family of 6. Doubled in size. Lorin still can not believe this – 13 years later. Jenna’s mom had moved to Maryland to go to college. Some say that Jenna’s timing was not perfect, and they’d be right, because it was impeccable. 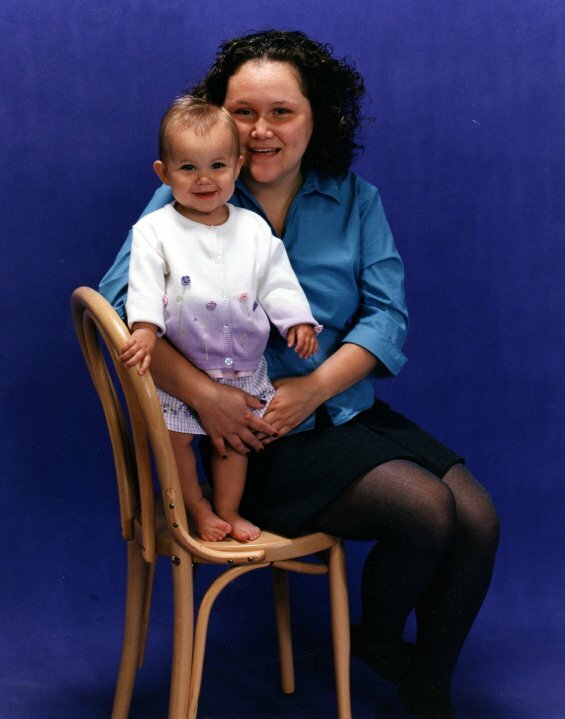 She made her mother sick from day one – and my defensive driving skills while having a vomiting passenger commenced. Somehow in the madness of Southern Maryland traffic, we got through it. So you see, Jenna made me a better driver. I’ve been in plenty of deliveries and this one was special. I swore my bff had lost her mind when she placed all the “organs” outside of the incision for just a looksy. She actually told Jennie to shut up at one point and we ignored the medical talk about just feeling like you have to throw up – until she did just that – right in the OR. The night before Jenna was born – we stayed up nearly all night – so we were already a hot mess when we got to the OR. All I remember are the words “placenta previa” and “get there now”. We got there fast and after Jennie attempting to deliver with underwear on and begging to turn over during the sedation – time completely stopped the second I saw Jenna’s face. She was exactly how I ordered. A picture perfect copy of her mother with no visually identifiable trace of any other DNA. We brought her home to Marlin Ct. – and months turned into years of sleep deprivation and pure Joy. There were the common things – like shared cold bugs, pediatrician visits, toddlers gone wild -running around with no clothes, pink eye, Teletubbies, Blues Clues, Dora the Explorer and the messiest little cape cod styled house ever. I miss these days sometimes more than I can handle. Before she got her first word out – Jenna had this laugh that only she will ever have and could never be duplicated. It is simply impossible to hear her laugh and not laugh too – and it absolutely makes my day. She does however have a perfect Jones/Roberts/Woodard mix and her laugh can stop certain people in their tracks. They want to laugh – but something instinctual makes them wonder if there isn’t a hint of sarcasm “this joke is on me” sorta thing. I got to keep her at my house until she was 4 and then she moved out. I was certain I would not survive this, and she didn’t either – but somehow we have managed, with only occasional set-backs. It was about this time too – that she started to read and write. She she labeled me “Antey”. It stuck. I am an Auntie many times over – but the Antey to only one. She is the most beautiful brown eyed girl in the world. A close second is her Mom, who was the center of my world from 6th grade on. Jennie (the Mom, keep up) is my first born niece almost daughter. Now, clearly – there were many who thought Jennie was born way too soon too. 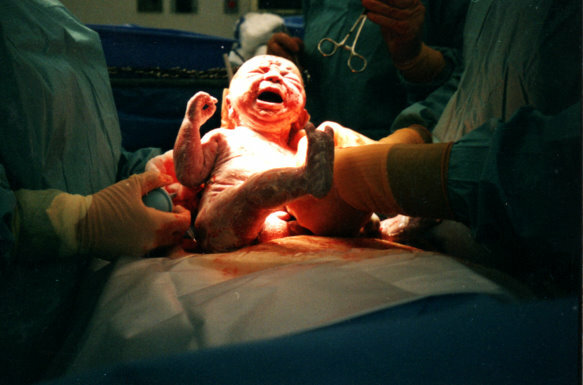 I remember the exact day and moment I found out she was due – and thought to myself – why are all these people upset? I think this is the best thing to ever happen to this family. Now, looking back – I still don’t think I was wrong. The next part of this story would be, I moved to Tennessee and Jenna and I were certain this was not survivable. Sure, she’d come in the summer but you – know it’s just not the same. I am ever so thankful that phone plans are now unlimited minutes. Refereeing discussions between two other Woodard girls is always a fun thing for Antey’s to do. The summer of 2010 she came to TN, and when the kids here returned to school – she stayed. Her plan all along may have been to have a week with Antey to herself as she grinned when we dropped Lorin and Brandon off each morning. Good thing Maryland doesn’t start school on the same schedule.”I need my Antey” campaign started in full assault mode – and we’re taking no prisoner’s.So what is she like? I mean, other than beautiful? She has a heart of pure gold. She worries about others above herself – and she desperately tries to fit in, when she shouldn’t have to. She is the sweetest thing ever and has mastered the use of the sweet voice. She can add the word “so” a lot of times to the phrase I love you, and when I say, but I love you more than that – she’ll say “I know you do”. She loves peace signs, or anything from the 70’s – and is possibly the coolest kid ever. She went through a Full House phase that didn’t bother me one bit. Uncle Jessie is Uncle Jessie after all. 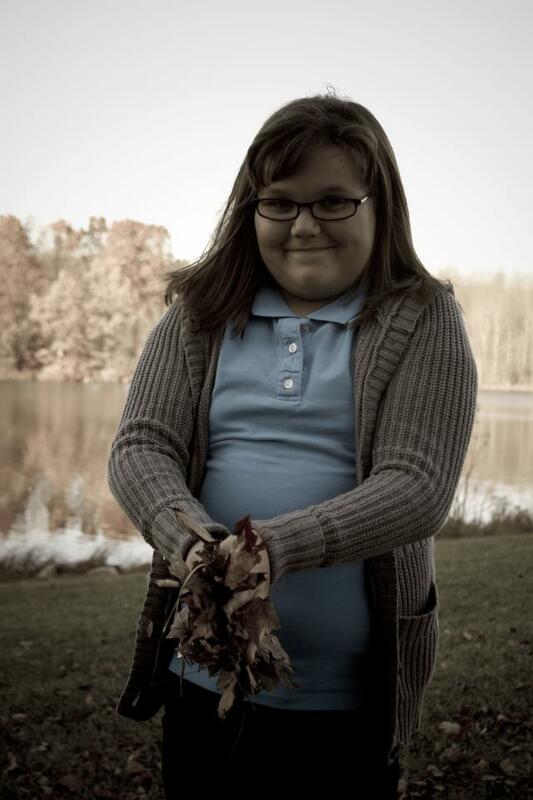 She wrote an assignment for “special persons day” in 2010 that Antey flew to MD and back in one day to attend. See paper to the left. All about me – her special person. 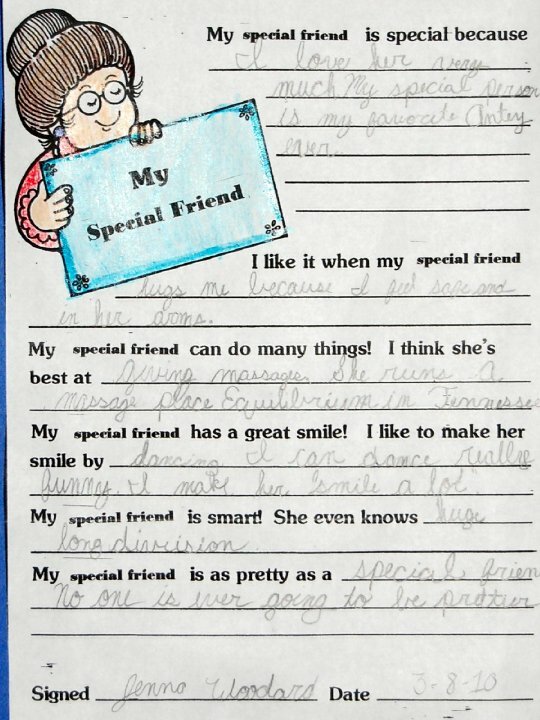 Apparently, special person is now politically correct for “Grandparent’s Day”, but – call it what it was – it was me and hearing aids in a catholic school. My kind of Heaven. But all that mattered was the brown curly haired, brown eyed girl up on the stage singing her heart out, like she was the only one there. The teacher who was clearly too young to teach said “look everyone, it’s Antey from TN”. Apparently, Jenna is a storyteller. Imagine that. She sweet talked her way into something we were not supposed to do, but I can not recall what it was. Jenna snuggles into a hug like no other. She has skill like a stealth ninja if you attempt the sneak out of her room while she sleeps sort of trick. Intel has not confirmed this fully, but I believe this past summer Jenna and I may have been put on punishment together. For all Woodard girl out blog post readers -is this a common theme? We didn’t do anything wrong. We just had some fun. Wouldn’t you? Anteyhood is a gift and one I intend on celebrating every chance we get. My wishes for Jenna are like those of any other Antey. Success, good health, and most importantly someone who loves her for her without changing her. Or deal with me. I look at her often and wonder if everyone else sees and appreciates how beautiful she really is. Those of you who know me, know Clinton. 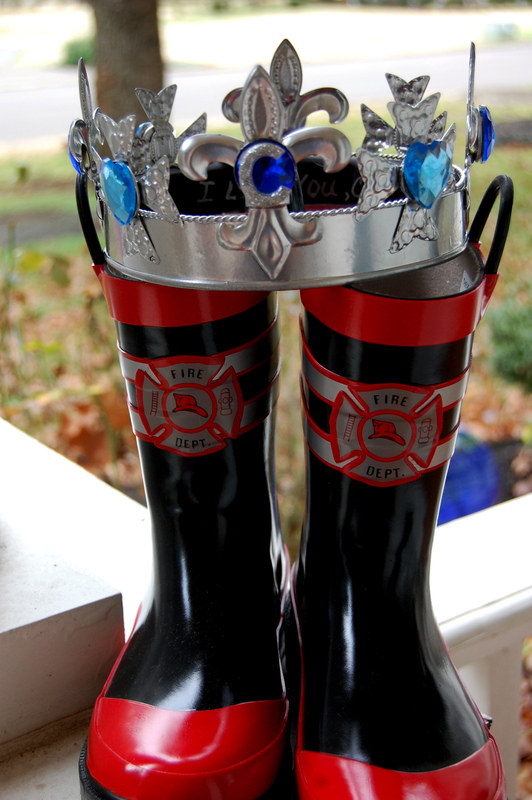 A brave little chubby faced 7 year old fireman rain boot wearing King. 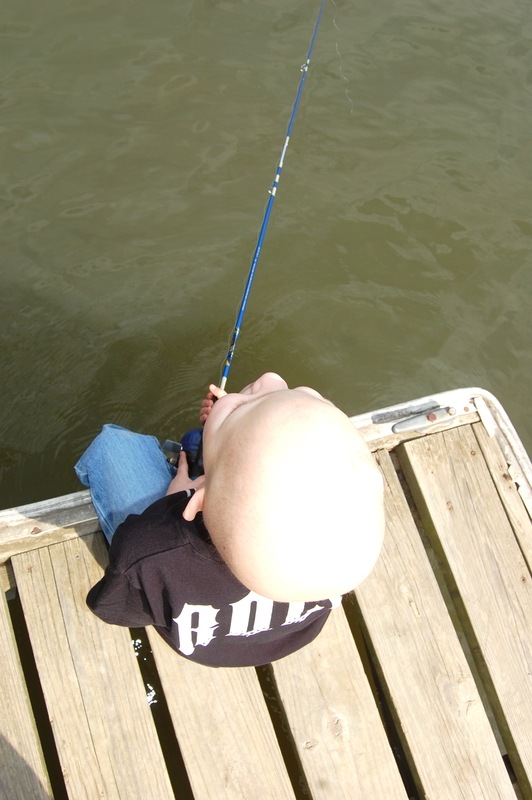 Clinton was diagnosed with a Medullablastoma (brain cancer) just before his 5th birthday. Clinton did have Cancer – but as you read his story or watch his videos – you’ll soon see – Cancer did not have him. Clinton was a somewhat introverted child who was quite a thinker. He watched, listened and he learned -therefore having most things figured out before he did them – and mastered most things on his first real try. He was so funny and his laugh one of the sweetest sounds ever. He was cranky, and sometimes irritable. It took an entire kingdom to care for him well, under the direction of the King Mother. Saturday, January 14th was a beautiful, yet most difficult day. Lorin and I met Kim, Clinton and Max at the office so Lorin and Kim could work. My job was to play with the boys. I do this well (and only cause moderate trouble). We normally would not stay in the office and play – but we did that day. Lorin raced down the hallways with “the Max” on a medical chair and Clinton and I laughed and dared them to go faster. Clinton pushed Max around on a dolly while Kim and Lorin were in the attic. We hung out, and just laughed. Clinton was extra nice to Max this day. Rare. After an hour or so of playing there, Clinton, Max and I left Smyrna for Murfreesboro around 1:50pm. 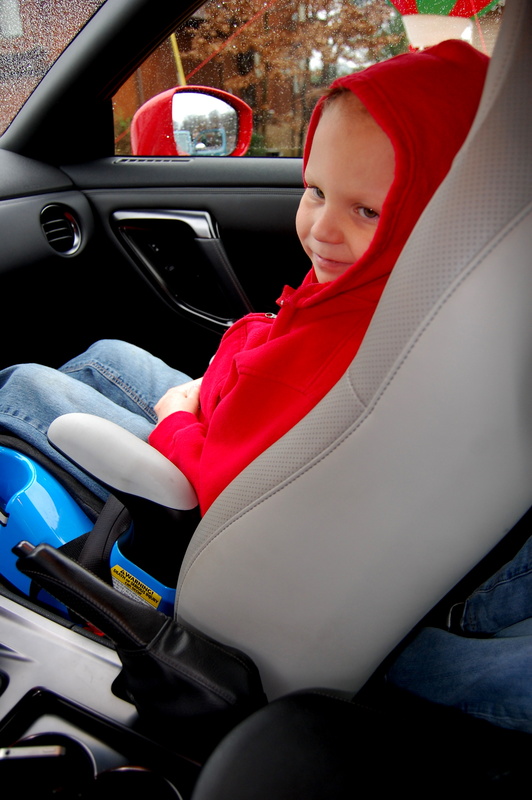 We were singing and laughing – and some of us were dancing in our booster seats. We had a discussion about business cards (see the card in the photo – I missed the failure to “bleed the top edge, but my boy gave it a thumbs up anyhow -and this is the photo I snapped at 2:06pm), cumulus clouds, Mangers, and the beach. Clinton had loaded the side pocket of the passenger side door with “ice” bullets just in case anyone tried to follow me. He always has my back! Clinton loved sweet tea. Being the marketing protege’ that he was, he did not miss the McDonald’s arches at exit 70. I convinced him to wait until Murfreesboro. We exited at medical center and drove to the N. Thompson location. He got his sweet tea. The receipt says it was 2:08. We headed to the house and were attempting to cross over Broad on N. Thompson (wait for 3 light changes). After Max listened to “Light Up” by the Newsboys 10 times, Clinton grabbed his forehead – and I asked him if the music was too loud. He said no, he just wanted a different song. I hit shuffle and “I can only imagine” by Mercy Me came on. Clinton approved. The words “will I dance for you Jesus, or in awe of you be still” had just played when Clinton said “I can dance right here in my booster seat.” We crossed over Broad. Merged left and Clinton grabbed my right arm. I asked him if he was going to be sick (normal drill, drive, grab pink puke bucket). He shook his head no. There are other details that I’ll leave out – but, he never let go – and he never lost consciousness, nor eye contact. I knew immediately he was having a stroke. My biggest issue – that felt like an eternity, but was probably a 3 second decision – was to decide on turning that car around and go back towards MTMC or get home and intercept EMS. I opted for home/EMS for two reasons. One, I was slightly closer to home – and I had to maintain his airway, drive and keep Max safe and not scared. I knew if I got home, Max could be with Brandon. I knew if I went to MTMC with Max and Clinton, the odds were they would make me leave Clinton and that was not going to happen. I got as close to home as I could and told Max we were going to race to my front door. In true Max style – he took off and never even looked back. I ditched the car (I think 3 of four doors were open), to help Clinton. I called 911 before we got off N. Thompson. I may not have told the exact truth about my location, but I wanted them on the move to my house as I was. I did not want to take the chance on confusing anything on an intercept. EMS did not disappoint. First responder was pulling up as I was. EMS was there in under 3 minutes. We got Clinton to MTMC in 9 minutes, and to VUMC in under one hour. I did the best I knew to do, and have reviewed my decision half a million times in my head. The Vanderbilt LifeFlight team was amazing. Mark Tankersley, RN, CEN, EMT will forever be one of my hero’s. Their website is http://www.vanderbilthealth.com/lifeflight/. We then spent 5 days at Vanderbilt Children’s. During this time we knew the news was not good, but in true Clinton fashion, he was not done giving us gifts. He opened his eyes several times and responded to questions with yes and no nods. He was not scared. He knew we were there. He was not in pain. He had heard the things we were saying to him. He wanted his Foley catheter out for starters, and while we were at it – his intubation too. He managed to get his Foley out with his monkey like toes. It took all hands on deck a couple of nights to keep him entertained and not tube yanking. He even did that on the sly! I did think and worry about this day and how I would handle it. I am thankful that God showed his grace and allowed me the self control needed to keep my promise and stay with my little King until the end, plus a few hours more – until he was ready to take another ride. Clinton was peaceful, he did not suffer and was in his mother’s arms – no better place to be. He knew he was loved. He was surrounded by the people who loved him most, and who have never wavered. We would have never chosen this to be so – but what a gift in the end. We think of so many parents who get phone calls with no chance to say good-bye. We did over and over. We didn’t always know what to say (okay, maybe Kim did and I didn’t) but Clinton knew that we would stay and fight with him if that is what he chose, or let him go if it was to be. I will forever love the photo below. A superboy who wore a cape to chemo – and his personal assistant utter mutter. Kim and Jeremy gave our little warrior the ultimate gift by letting him go, and telling him that Mom would be okay. Clinton shared with me months ago that his greatest concern was for his mother – and he wanted to know how I knew that she would be okay. He wanted to know how long she would have to wait to see him again, and if she and I would always be friends – even when we grow up. This little boy with a wise grown up soul, brought me unspeakable Joy. No one met him without falling in love, and those who didn’t meet him in person, fell in love. If you ever have a chance to be someone’s “utter mutter”, do it. Don’t love them the best way you know how – love them the best way his own mother would (with some added spoiling, and “getting in trouble” together). Yes, it is true we once were put on punishment together. Whatever. Kim does not like to be called “strong”, but she is. She was chosen as the only person who could be the mother of a precious little King on loan to us for 7 very short years. She provided more than a lifetime of experiences for her little best friend. They have a connection that is often overlooked by many mothers and sons. He opened his mouth and often her words came out. They got each other. It makes us happy to see his photo and smiling face plastered all over social media. Don’t forget your random acts of kindness (RAOK) in our little Kings name. Clinton loved this and was a giver. Raise Childhood Cancer Awareness and insist on equal funding for pediatric cancer research. Right now, the equation is not balanced. For every dollar allocated to adult cancers, children get 30 cents. We ought to be ashamed of this. 46/7 Awareness deserves and will get posts dedicated to this alone. If you do not know what 46/7 is – ask me. Google it. Better yet, ask your legislators if they know. 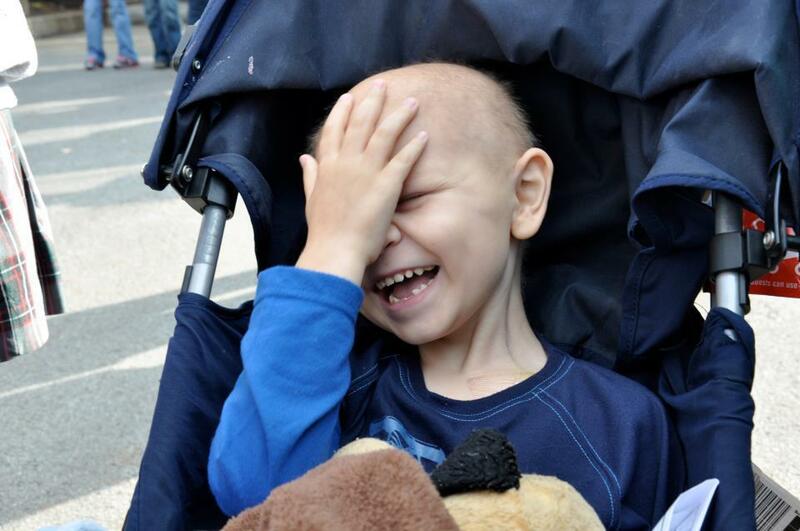 Demand to know the numbers of allocated funds percentages to pediatric cancers before you give. Clinton spent many weekends being well loved at my house. Lorin and Brandon spent countless hours making sure he was entertained and happy. It’s true, we went on adventures, ran out in the wee hours of the morning if he wanted something to eat that I didn’t have, built with legos until I couldn’t see straight, watched spongebob until I too knew every word – but every minute was worth it. Together, we pushed the limits of having the most insane fun we could have without getting into trouble with Mom. Clinton had life experiences that many live into their 80’s and never experience. Yet, through it all – the one thing that simply amazes me – is that in the worst moments like last Saturday, I realize that I still think that life is amazingly beautiful -and so is he. He was a gift. There are few words that do justice to Clinton’s bravery and endless optimism in the face of adversity. His smile and laugh were simply infectious. I love this photo, it’s like Heaven was shining down in the OR on 12/17/2004! Since meeting Kim, I have been in awe at the selfless sacrifices presented by her. She truly put Clinton’s needs above her own without hesitation. She set aside her own anticipatory grief and fear while her embrace became a stronghold of strength, comfort, and love in a time when he needed her most. Even as he transitioned from her arms to the loving arms of Jesus…because she instinctively knew that’s what this little King needed. I haven’t always found the right words to express to her my gratitude for sharing her children with me. I know I do not deserve them, but I am so glad to be chosen by Clinton (and now Max and Jordan too). The connection is inexplicable. I have thought of myself if this same situation presented and if I would ever have the courage and bravery to let my son spend time with someone other than me if I knew those days were numbered. Kim will tell you she just needed rest. It’s not all together true. It was one of the largest gifts I have ever received and I think she taught me the greatest lesson on selflessness that I may ever learn. Clinton told me that G-Tom uses his convertible to take the trash to the dump and one time even put manure in that same car-and it stunk for days. Clinton said he loved going to GiGi’s house because she didn’t mind watching his favorite shows all the time. I’m not sure if you knew this, but when Clinton wrestled or played with his Daddy, Clinton always won. Clinton asked me one day if I knew he was born second – but that it was him that made Kim and Jeremy a family. He had this way of making statements that grabbed you as he went on to play with play-doh or build with legos as I tried to not just sob. One of the first things he ever showed me was a photo of his Kate. 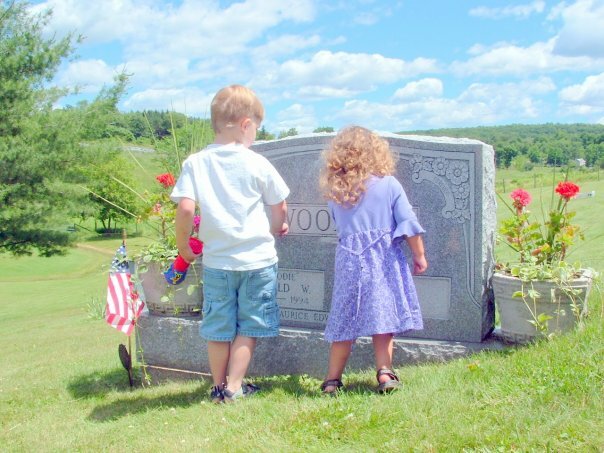 He adored this little girl, and they were the best of friends. 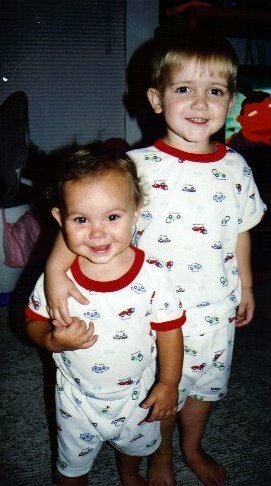 Clinton loved his big brother Jordan and listened to his every word and thinks he knows all there is to know about games and music. We all know Max was surviving his toddler years when Clinton became sick. 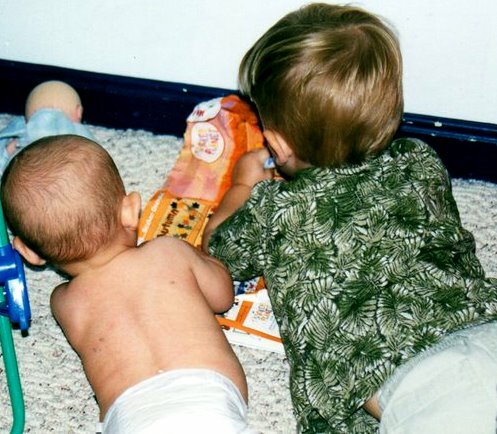 Sometimes medicine can make you irritable, but if you watched Clinton as a big brother – he always knew where Max was, what he was doing – and if he needed anything. He loved his little brother. Clinton told of art and craft days with Aunt Kacy. I once asked him if he wanted to make something fun. Matter of factly he said “no, I do that with Aunt Kacy”. This smart boy had his own categories of who he did what with and made each of us feel special. Clinton’s unbridled enthusiasm for life was contagious, and I think you should catch it. If you didn’t know, Nissan makes all their cars for Clinton, especially the blue cube and his red racer – GT-R. He was a professional Cube spotter and would just yell out CUBE when he spotted one. Since Thursday, I have seen two – and we now yell out Clinton. We’ll have to see about making one in Clinton blue. Now who would vote for an official paint color called Clinton Blue? I’ll end with things that Clinton loved. He loved animals and wanted to be a Veterinarian; he loved visiting Trudy and Hugh’s farm – and told me about the birdfeeders there, he loved the color blue, he loved chocolate covered strawberries, Spongebob squarepants, the ocean, “feeshin”, he loved to “give” things, he loved the song “Sweet Home Alabama” and yes, he loved coffee. He is the only other person in my life that could be hanging out with me at like 2am and sort of whisper – “I want coffee” And then actually drink it with me in bed. Or get up and just dance – he had mad skills! But, most of all, he loved: you. and me. Clinton officially earned his angel wings at 2:46 on 1/19/12 when he was re-delivered. However, those of us who knew him know that he had them all along.